The spa of the resort offers you unique moments of tranquility and an unlimited view of the sea. In Porto Heli, 190 km from Athens by car (approximately 2.5 hours) or by hydrofoil or catamaran from Piraeus port, which is 30 km from Athens International Airport. 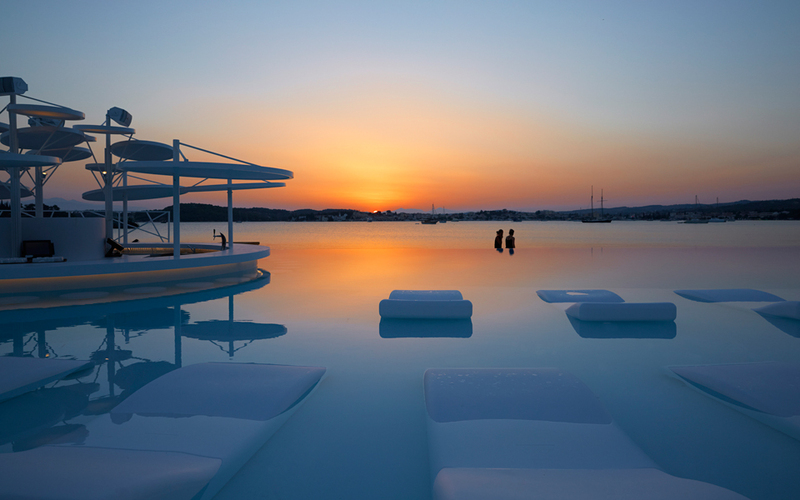 A five-star boutique hotel located on one of the rare sandy beaches in the area, Nikki Beach Resort & Spa affords guests stunning panoramic views of the Argolic Gulf from almost every corner of the property and the pleasure of crystal, clear-blue waters. The original 1970s building has been totally renovated, fusing Mediterranean elements with high-end design, making Nikki beach a contemporary, refined and elegant luxury lifestyle resort, ideal for the world’s jet set and discerning travelers. 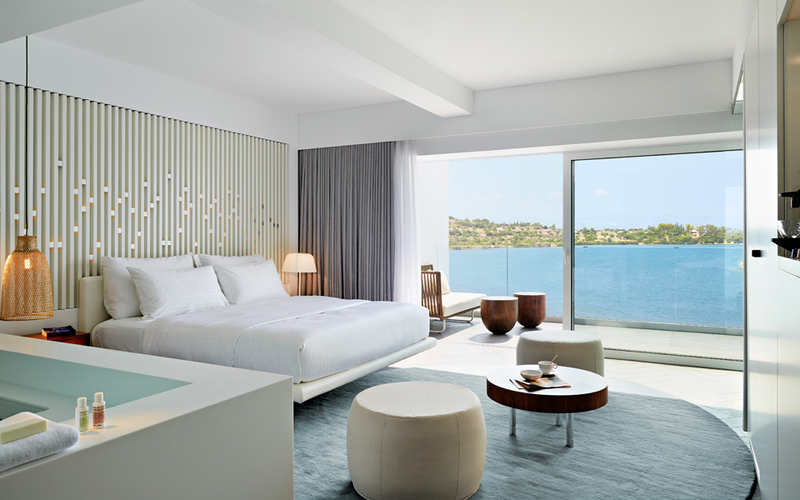 Comfort with a magnificent view of Porto Heli bay from the Nikki Signature Suite. 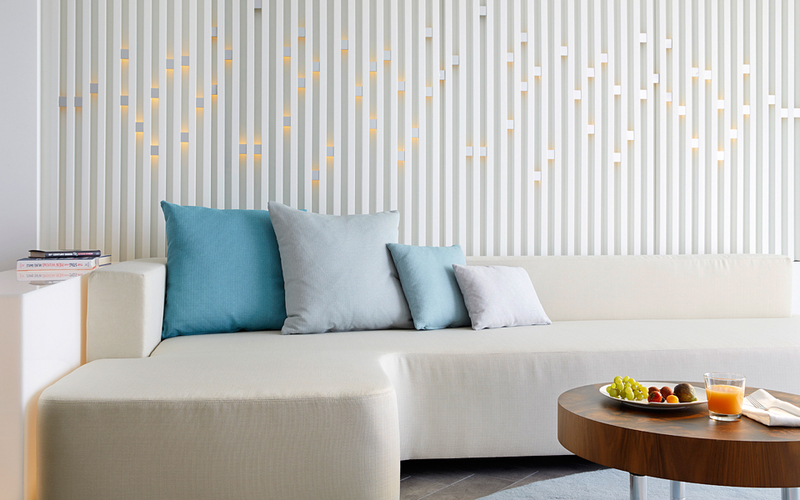 Ultra suites are carefully designed to cater all your needs. 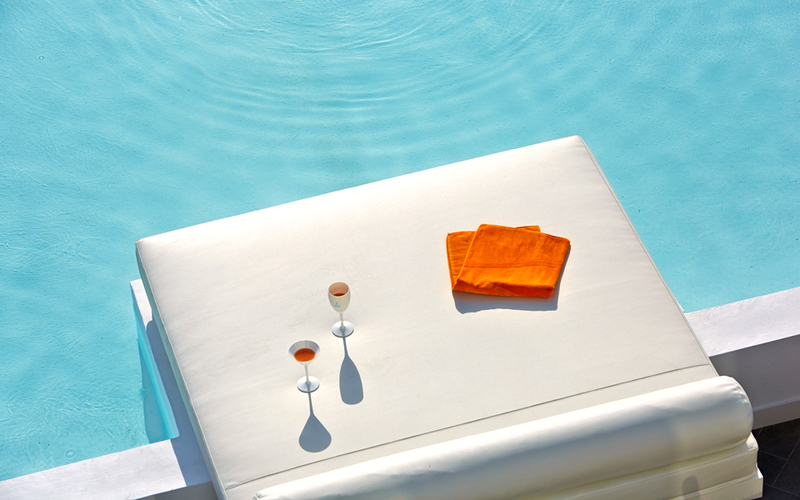 A pool all to yourself is provided at the Ultra Pool Suites. Some 66 beachfront ultra-chic rooms and suites await guests, with in-room features such as adjustable mood lighting and music systems, entertainment walls, luxurious walk-in showers and large baths. All rooms are spacious, elegantly furnished in white, beige and blue, and their balconies or terraces offer views of the Aegean Sea and Porto Heli bay. Ground-floor rooms benefit from private pools, while rooftop duplex suites have access to a private roof terrace and outdoor jacuzzi. For guests who like to pamper their body and spirit, the hotel features the Nikki Spa, open daily from 10:00 to 22:00, offering a collection of luxurious and therapeutic treatments and products that combine the best of traditional and modern therapies. In addition, Tone Fitness, a state-of-the-art gym that is open daily from 07:00 to 21:00, is equipped with Life Fitness cardiovascular and strength machines and a free weights area. Personal trainers are also available. 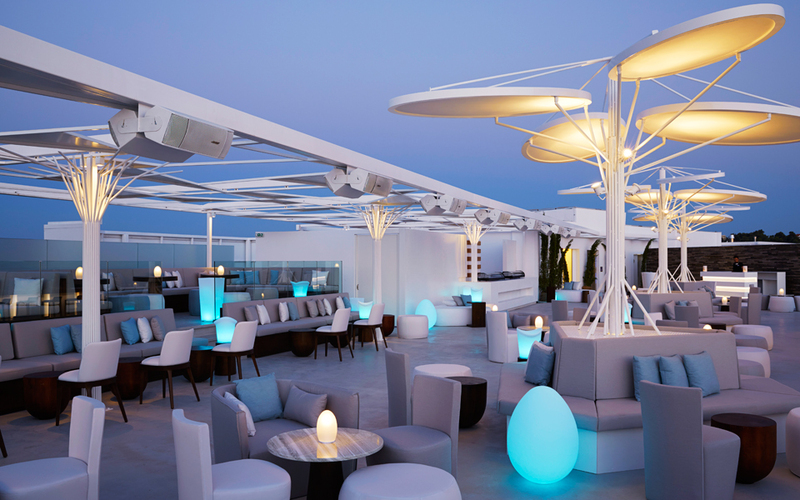 Nikki’s glamorous Beach Club, adorned with plush, all-white sun beds, is as stylish and contemporary as any of the brand’s locations around the world. Guests are welcome to spend the day indulging in refreshing cocktails, champagne and delectable dishes while listening to the resident DJ’s enticing music. The Pearl restaurant offers the perfect blend of creative cuisine and after dinner entertainment. Café Nikki, a seafront restaurant, features à la carte menus and buffets, offering guests a modern approach to international favorites mixed with regional flavors. Signature dishes include delicious salads, creative sushi rolls, original seafood entrees and slow-roasted, free-range rotisserie chicken. For fans of Asian cuisine, the Pearl Rooftop lounge bar on the top floor of the resort features innovative sushi and other creations along with extensive drink and wine menus, for a refreshing finale to your day. Opening dates, prices and packages may vary depending on the season, so please contact the hotel directly for further information.